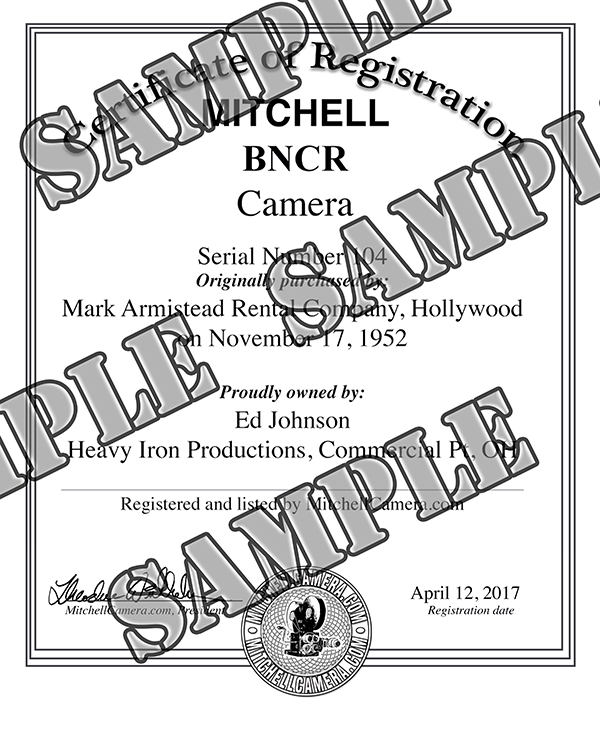 When you request your Mitchell Camera to be Registered, you will receive a number of benefits. First, we will conduct an exhaustive search through our contributing member's Mitchell sales archives to determine the exact date that the Mitchell Camera Corporation first sold your camera. Second, we provide you with the organization or individual who was the original owner of the camera. And third, we will also include your camera on our Mitchell Registry page which is open to the public and sure to be of great interest. Alternately, you may request your name be omitted from the the Registry listing and only display the serial number and date sold to the original owner. Our Mitchell Registry page is a great asset for insurance purposes! Lastly, we provide you with a complimentary PDF registration certificate that when printed, is suitable for framing. A sample appears at the bottom of this page. 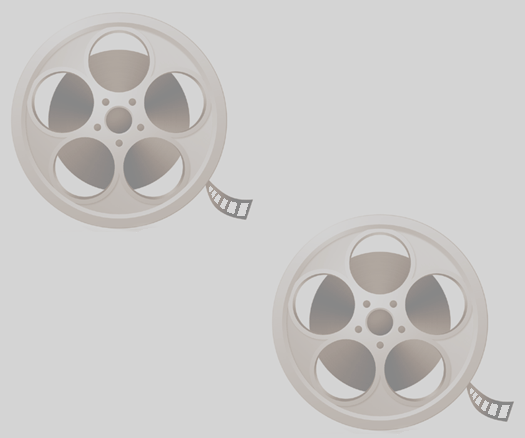 Our registration and associated research fee is $25.00 for each camera requested. We require PayPal payment to begin our research. Within one business day from submitting your payment, we will send you an email to request your camera(s) model and a photo of its serial number. If you do not have the ability to send an electronic image of your serial number, we will provide you our physical mailing address at that time. Be advised that we may need 2 to 3 weeks to perform our research and register your camera. We consider the PayPal transaction closed upon mailing you the completed PDF Registration Certificate. You don't need to be registered with PayPal, during checkout just choose "Pay without a PayPal account"